About Us | Universal Group | Worlds No.1 property site for real estate globally. Universal group is a globally successful company which has secured the trust of its patrons by providing unmatchable eminent services and has been unswervingly complying with your various requirements for 50 years. Universal group has successfully taken the market leadership in real estate services and property acquisitions. We believe in persistent expansion and therefore have expanded our services in the fields of marketing and customized business. We have a substantial network of offices and professionals which leave no stone unturned to provide you with the finest deals and services for property acquisitions. 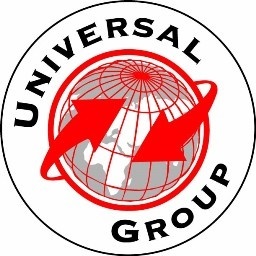 Universal group is inferior to no one in terms of its business practices and technology. We put plenty of effort striving to formulate new and innovative business methods and to get hold of the best technology to serve you better. Our offices are populated with self motivated and work focused employees. Building long term relationships is an important element of our agenda. We emphasize on building relationships not only with our patrons for property acquisitions, but also with our employees and shareholders. Whether you stand for a small organization or a major business, Universal group vows to cater to your needs. Offering innumerable schemes and granting bonuses to our regular patrons is our way of showing appreciation. Apart from property acquisition programs, our projects include women’s fashion and cosmetics portal, real estate database programs, world level and country level real estate portals. We specialize in unravelling real estate problems and also making property acquisition more unproblematic than before.